Advance tickets are no longer available for this event. A limited number of tickets will be available at the standby line 15 minutes before the published start time of the event. In 1953, Ray Bradbury published a science-fiction novel with one of the most unforgettable takes on dystopia ever. It was such a potent piece of work that Francois Truffaut selected it as the basis for his first and only English-language project, choosing it over what would become Bonnie and Clyde. Bradbury devised a shocking definition of the word “fireman”: a destroyer of hope and possibility, rather than a rescuer of these ideals. In the future in which Fahrenheit is set, firemen are charged with burning books, which have been banned. 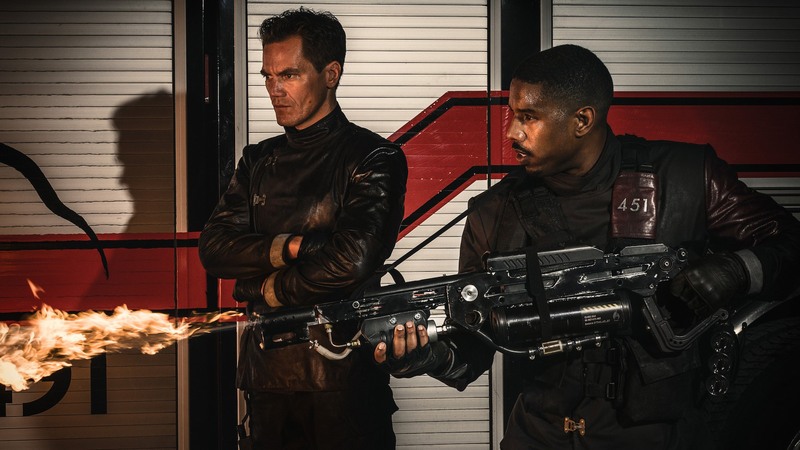 Michael B. Jordan also recognized the power of Bradbury’s fiction, and stars as fireman Guy Montag, leading an able and diverse cast that includes Michael Shannon, Lilly Singh and Sofia Boutella as the women who open Guy’s eyes and ultimately change his life. Ramin Bahrani, whose thought-provoking work set in real life dystopian circumstances includes Goodbye Solo and Chop Shop, adapted and directed Fahrenheit for HBO Films. He will take part in a conversation after the film. Film Independent and LACMA Film Club members can reserve screening tickets starting at 12 pm on Thursday, April 19. | Screening tickets are free; limit two tickets per membership. | Proof of member status is required to reserve tickets during advance reservation period. LACMA member and general-admission tickets can be reserved starting at 12 pm on Thursday, April 26. | Free; limit two tickets.